The second full day of camp started off learning how to ask for a translation. Sarah, the dialogue facilitator, and Chelsea, the interfaith advisor, demonstrated with a little bit of frantic Spanish. In the next activity, kids stepped into the circle, telling the group something about themselves, sometimes in Arabic, sometimes Hebrew, oftentimes English. The room was always full of voices sharing and translating. Next, the kids split into peace groups to draw maps of what is most important to them. For many that included their family, their friends, their faith, their pets, and a few of their favorite things to do. After completing their maps, the groups shared among themselves, looking at the similarities and differences in each one. For the service, the girls went upstairs where they could see what was happening on a screen. The Christian and Jewish campers sat in an arc around the space, observing the prayers. Afterwards, the group met with the imam, and learned about the special carpet design for praying, and much more about the mosque as well as the traditions and beliefs of Islam. The afternoon was spent shopping on Church Street, Burlington’s famous pedestrian walkway. 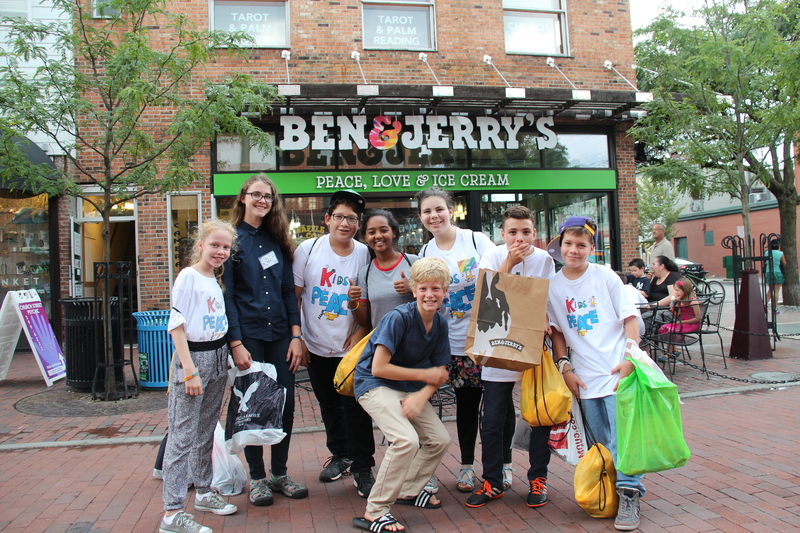 The Ben and Jerry’s scoop shop, unsurprisingly, turned out to be the most popular places to visit. 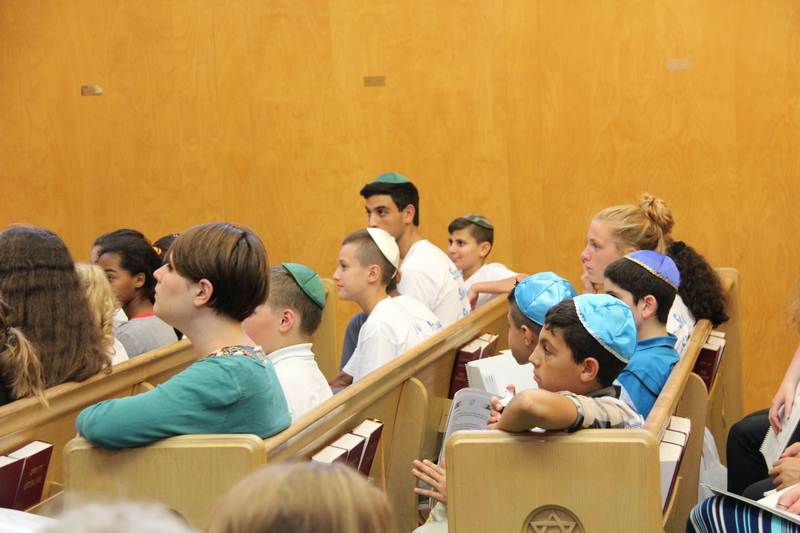 A little tired out, groups then walked to the Ohavi Zedek Synagogue to meet with the Rabbi. Her chat went right into the Friday evening Shabbat service welcoming in the Jewish day of rest. After blessing and sharing grape juice and challah, the entire group walked back to Rock Point, singing the Kids4Peace chant and chatting among themselves. It was a full day in every way possible.